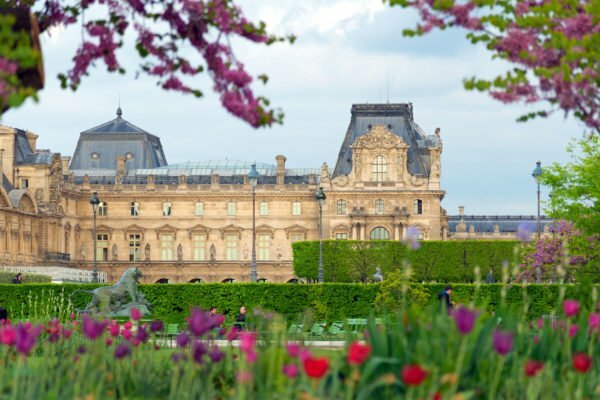 Ahh, April in Paris: the birds are chirping, the flowers are blooming and the chocolate shops are overflowing with egg-shaped goodies! 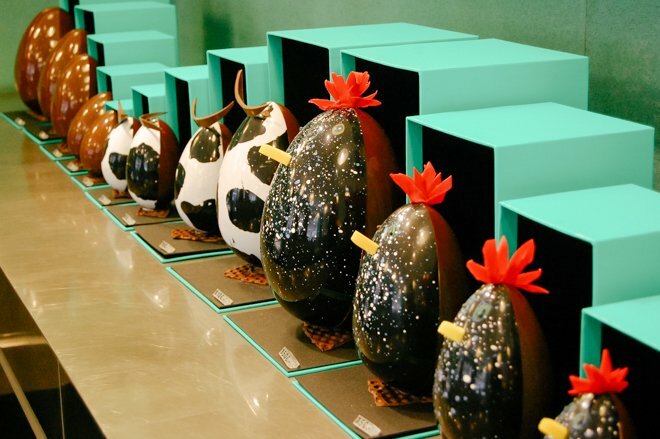 Easter is just around the corner and the sweet boutiques of Paris are preparing. 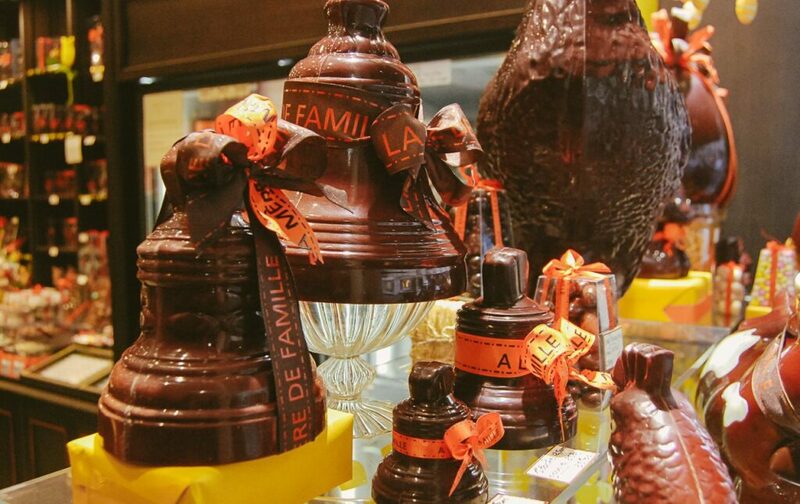 Pop into one of our favorite chocolateries and pick up some delectable goodies this Easter in Paris! 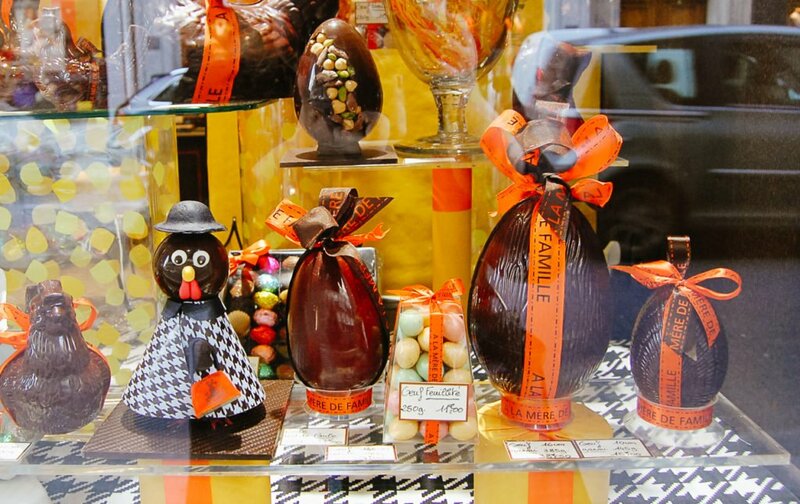 Perhaps the most common theme in Parisian chocolate shops in April are eggs and chickens. 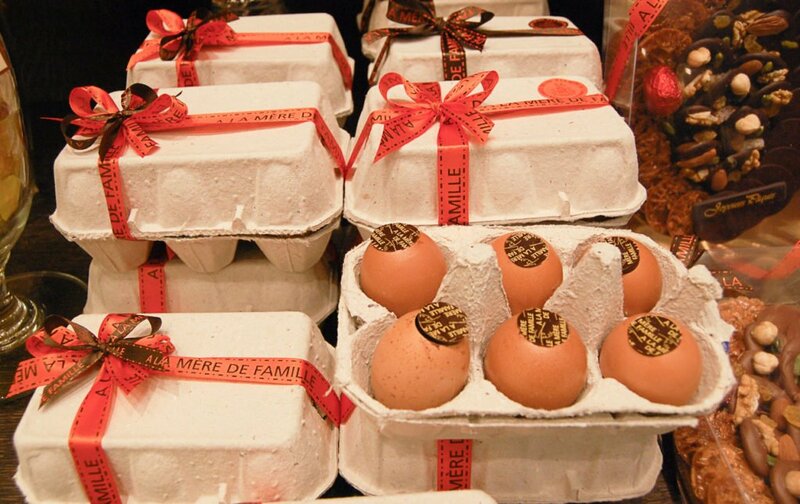 One of the most beloved shops in Paris, À La Mère de Famille, even has a carton full of very convincing-looking chocoalte eggs! If you saw them in a supermarket you’d be convinced that they’re real eggs! So why are eggs and chickens so popular around Easter time? Well, they’re a symbol of fertility, which is very fitting for the Spring season, when the earth is coming back to life after a cold winter. This most likely reaches back to pagan traditions, but now it’s just a fun aspect of the holiday! Over in North America, the Easter Bunny comes to town, but in France, it’s the Easter Bell. Here’s how the story goes: a few days before Easter, all the church bells fall silent – not as a sign of reverence, but because they’ve jetted off to Rome to visit the Pope. On their way back, they pick up lots and lots of chocolate and drop if off in children’s homes on the night before Easter. The bells then return to their respective towers and when they ring bright and early the next morning, children know what time it is – time to jump out of bed and savor their new chocolate stash! So if you see lots of bell-shaped chocolates in Paris, this is why! 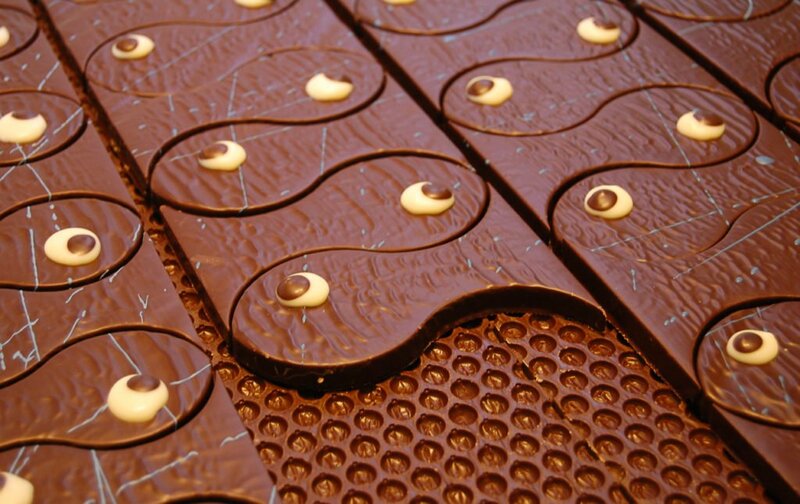 The other major chocolate shape you will find in Paris during Easter is the fish. This is technically associated with April Fool’s Day, but they keep the fish around for Easter too. In France, the first of April calls for the classic prank – the Poisson d’Avril, which means April fish. Jokesters – usually school children – obtain a paper fish and tape it onto the backs of unsuspecting friends and family members. Once the victim discovers the fish, they are declared the Poisson d’Avril for the rest of the day! Aside from chocolate, the pâtisseries of Paris always come out with seasonal creations. Ladurée offers limited edition macaron boxes, and Pierre Hermé will have chocolates inspired by the modern animal sculptures of François Pompon. The pastry concept shop, Fou de Pâtisserie on rue Montorgeuil, is going to be featuring some incredible Easter creations from the most skilled pastry chefs around the city – be sure to stop in to pick up a piece of edible art! 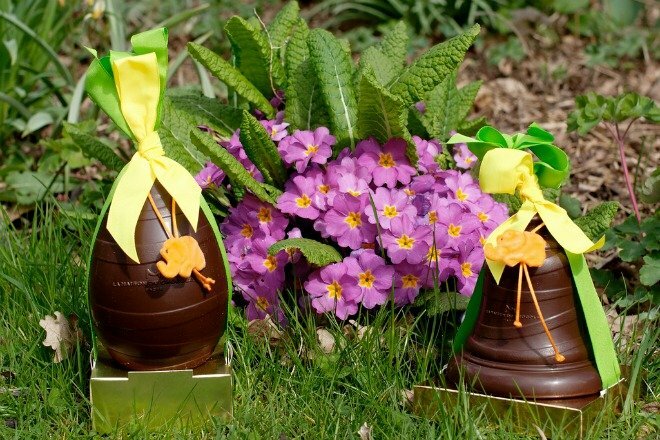 If you’re itching to get to Paris ASAP to try some Easter chocolates, it’s never too late to book a stay during our Easter Sale! Enjoy up to 20% off of select vacation rentals and a free box of chocolates or macarons, plus a discount on a chocolate class! More info here, or contact our super helpful reservations team at [email protected]. PREVIOUS: Seared Balsamic Duck with Orange Zest + Wine Pairings! 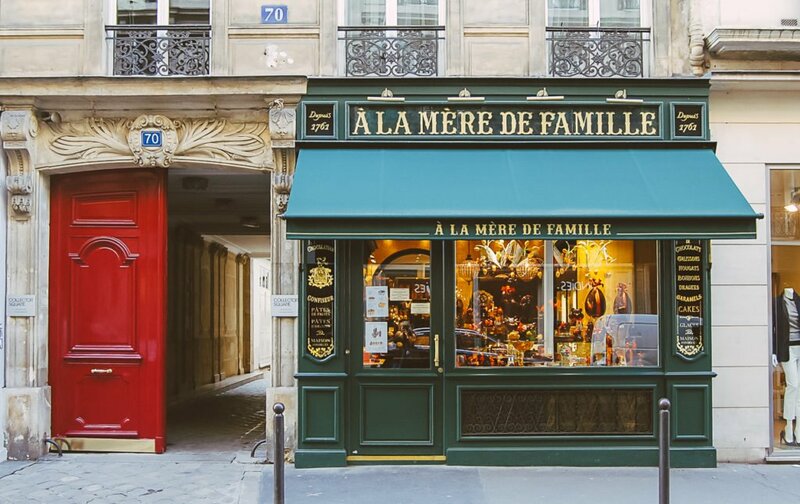 NEXT: The Best of Rue Montorgeuil – Historic Market Street in the Center of Paris! Posted on Tuesday, April 4th, 2017 at 10:00 am in Food & Drink. You can follow any responses to this entry through the RSS 2.0 feed. You can leave a response, or trackback from your own site.